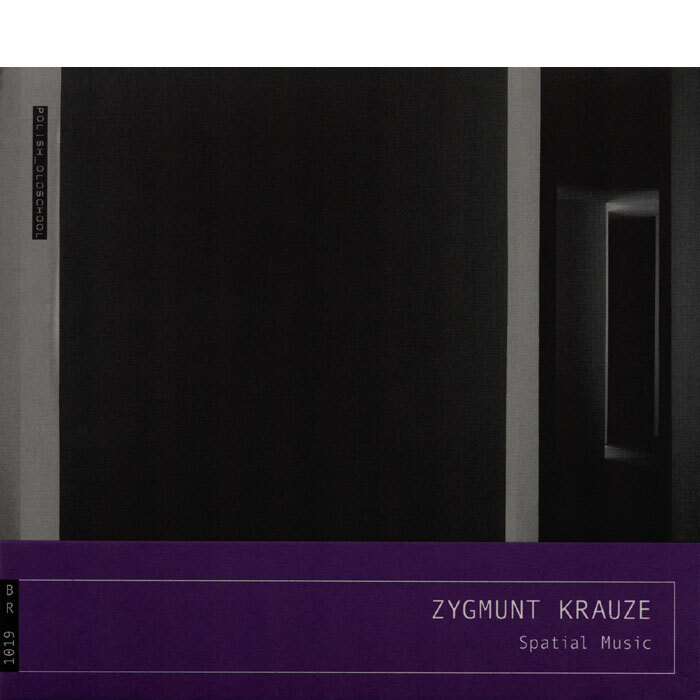 CD with Zygmunt Krauze compositions to the first Polish sound installation created together with Teresa Kelm – architect and Henryk Morel – sculptor. Inspired by Władysław Strzemiński's unism and functionalism, the first Polish sound installation was presented in Galeria Współczesna in Warsaw and signed by architect Teresa Kelm, composer Zygmunt Krauze and sculptor Henryk Morel. The work was a continuation of Morel and Krauze's explorations initiated in 1966 as a part of “5x” action delivered together with Cezary Szubartowski and Grzegorz Kowalski. The audience was given an opportunity to control the sounds and colours of the installation. Moving freely among the spaces, one would build up his or her own version of the composition using the tools made available by the artists. For the latter ones, it was a way to overcome the canonical, passive status of listeners in traditional concert hall practices. However, inspiration for this installation goes beyond the Polish avant-garde of the interbellum. Artists empowered the audience by giving them control over their own audiosphere, the solution that can be traced back to the experience of magnetic tape editing. Modular nature of the composition makes it easy to separate and blend the tracks. Thus, liberating the audience from their passive status combined here with acknowledging the principles guiding recording and mixing tools. The album is a journey just as much paradoxical as absolutely achronic. Two versions of "Spatial-Musical Composition" differ significantly. Both were realized in 2012 with the use of original tapes. Thus, they both are an attempt to reapproach the piece after 44 years. One was recorded in architecture built for Muzeum Sztuki in Łódź for the exhibition "Sounding the Body Electric” (curators: David Crowley and Daniel Muzyczuk). Arszyn willingly followed the artists instructions and recorded his own mix of the installation - surprisingly expressive in this meditative composition. The same source material was used for the studio mix performed by the composer. Fete galante et pastorale is presented here in its original recording of 1974, which, however, due to the styles of components of the composition, is hard to be placed in any historical chronology. It seems at the same time the source and the result of the piece from 1968. It is its result because Krauze's interest in architecture dates far back in time. It is the source of its predecessor in displaying Baroque inspirations in composer's sound installations.